N. Ohta, Introduction: Harmony Between the Principles-seeking and Problem-solving Research. L.G. Nilsson, N. Ohta, Part One. Self, Society and Culture. Q. Wang, M.A. Conway, Autobiographical Memory, Self and Culture. S. Joslyn, J.W. Schooler, Influences of the Present on the Past: The Impact of Interpretation on Memory for Abuse. D.S. Lindsay, J.D. Read, Adults' Memories of Long-past Events. K. Pedzek, Memory for the Events of September 11, 2001. L.G. Nilsson, N. Ohta, Part Two. Learning in Social Settings. D. Albert, C. Hockemeyer, T. Mori, Memory, Knowledge and E-learning. R.A. Bjork, E.L. Bjork, Optimizing Treatment and Training: Implications of a New Theory of Disuse. E.L. Bjork, R.A. Bjork, M.D. MacLeod, Types and Consequences of Forgetting: Intended and Unintended. Y. Itsukushima, K. Hanya, Y. Okabe, M. Naka, Y. Itoh, S. Hara, Response Conformity in Face Recognition Memory. L.G. Nilsson, N. Ohta, Part Three. Memory Deficits: Social Costs. F.I. M. Craik, Age-related Changes in Human Memory: Practical Consequences. I. Lundberg, Working Memory and Reading Disability. R.L. Logie, S.D. Sala, A Workspace of Memory in Healthy and Damaged Cognition. M. Mimura, Executive Functions and Prognoses of Patients with Memory Disorders. D. Herrmann, M.M. 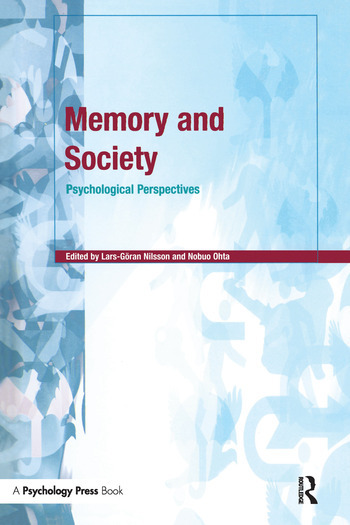 Gruneberg, S. Fiore, J. Schooler, R.Torres, Memory Failures and their Causes in Everyday Life. B.A. Wilson, Rehabilitation of Memory for Everyday Life.